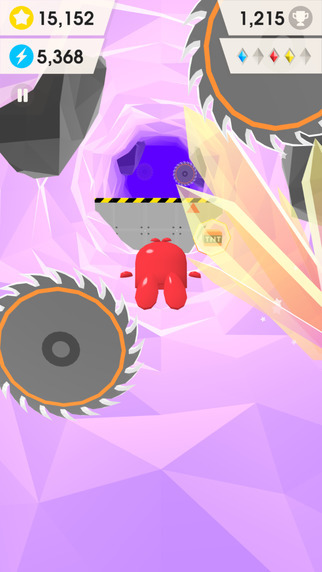 Are you under the impression that 3D games on mobile devices are difficult to control? Well today we’ve got something that may show to you the exact opposite to what you might expect. Catchy Crystals is probably one of the easiest 3D endless runners we’ve ever had the chance to play. 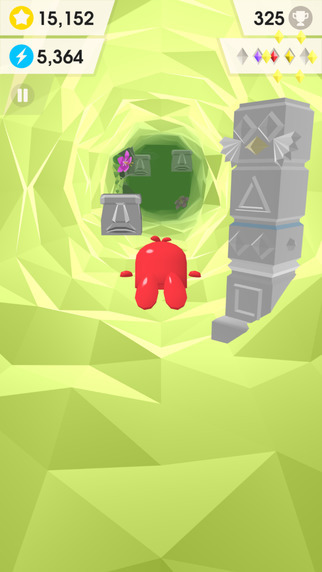 Set in a 3 Dimensional obstacle filled cave, your character – a cute red dude – is controlled entirely by swiping. By swiping up your character will increase in altitude, and by swiping down he will decrease in altitude. As you’d expect, the controls for moving to the left or right are also the same – swipe left for left, and right for right. 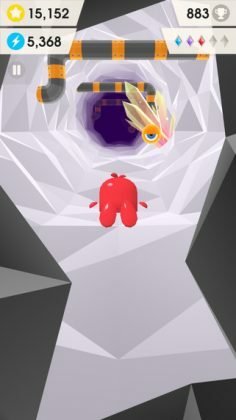 Though a very well made game, the speed at which Catchy Crystals progresses is probably a little too slow for the average gaming teenager you’d sit next to on a bus, but will no doubt delight the toddler giggling in front of you? How long have you made Apps or Games for? 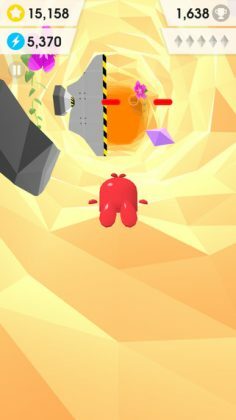 Given the occasional distraction – heh heh gotta play game too sometimes – we’ve been developing a game for about 2.5 years. Is this your first creation? What do you use to make your apps or games? We’ve used Unity solely until now. For our next prototype we’re considering testing Unreal vs. Unity. So, tell us about your app! 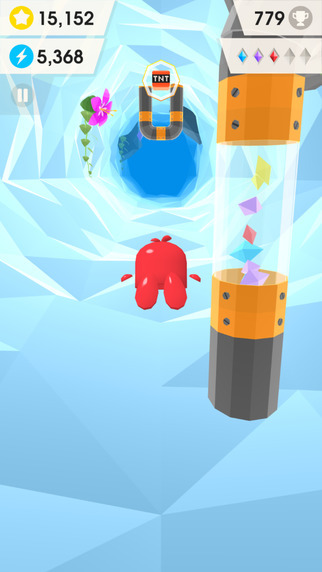 Catchy Crystals is a casual, colourful arcade flyer. Players navigate several areas while catching crystals, dodging flak and staying ahead of The Darkness. We wanted to make a game that we like to play. Because of this there’s quite a few references to platform games of the 90s and general video game nostalgia. At the same time there’s a wink to the future. The game is currently in its infancy and we here at Eye Bop Co. hope to develop it further during the next two years. Provided that at least someone out there likes it enough to throw a few shillings at it and keep us fed, it’s free to play! It also features original music by minusbaby.